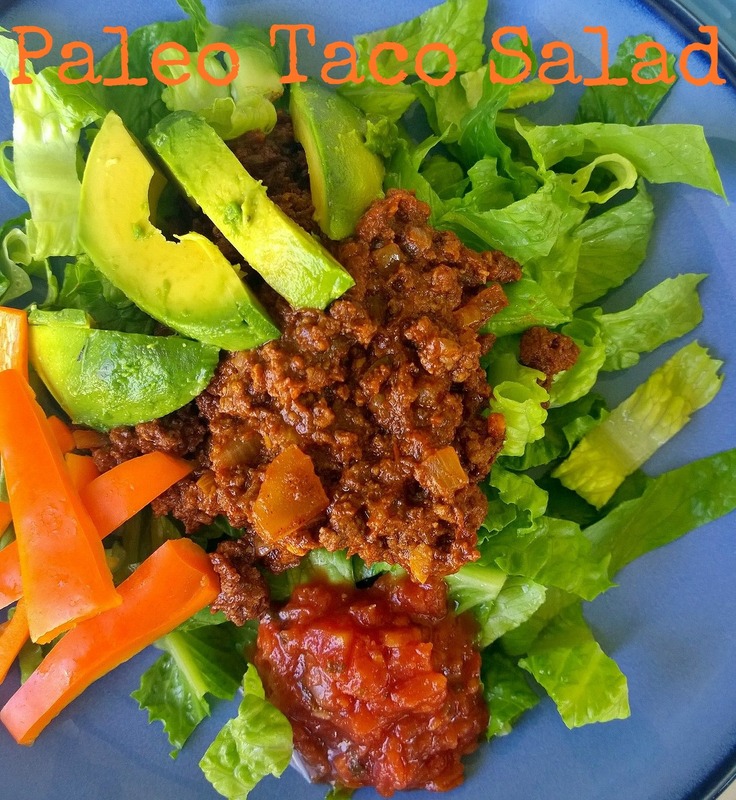 Quick Post: This taco meat was okay the first day, but even better as the week went on 🙂 I made a few modifications to the recipe, but I added the link to the original as always 🙂 Thanks for reading, enjoy! In a small bowl mix together the chili powder, cumin, garlic powder, paprika, cayenne pepper, salt and pepper. Set aside. Melt the coconut oil in a medium skillet over medium heat. Once the coconut oil has melted, add the onion and sauté until soft. Add the garlic and sauté until fragrant, about 30 seconds. Add the meat and cook until no longer pink. Add the taco seasoning to the meat and mix well. (*I used all but about a tablespoon of the mixture*) Add the tomato paste and bone broth to the pan and continue cooking until it reaches your desired consistency. Taste for seasoning and adjust if needed. Serve immediately over chopped Romaine lettuce, and top with lots of veggies. This dinner was amazing – I didn’t even miss the carbs and cheese! 😉 I used a pound each of bison and lean beef for the meat mixture, which I gently mixed, and formed into patties, then generously sprinkled fresh black pepper and pink salt on top. 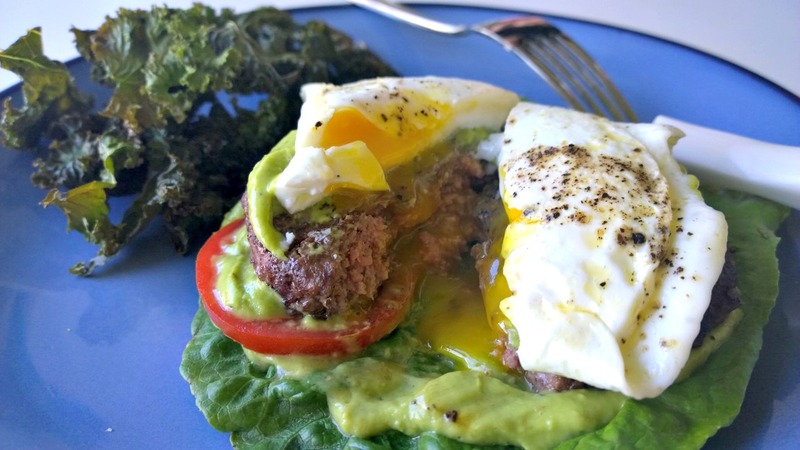 My husband expertly grilled them up; while I fried my egg – I’m not ashamed to admit that runny yolks are my favorite! 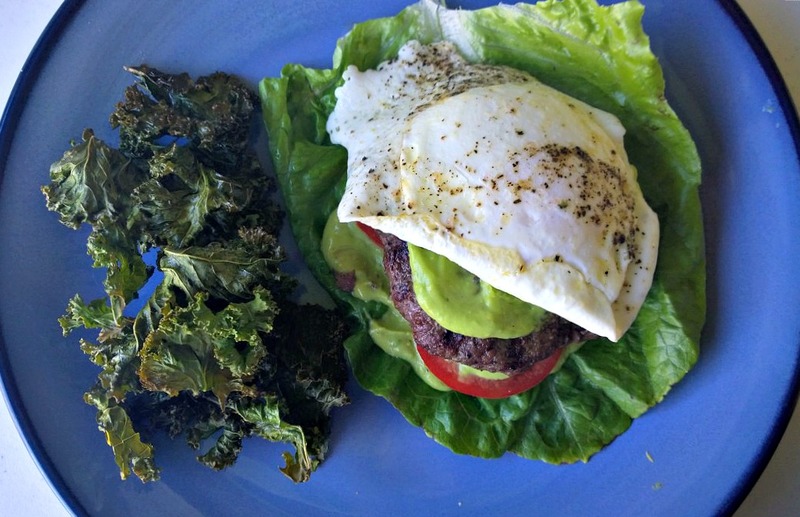 For my Paleo plate, I placed a piece of Romaine lettuce, some dip, two slices of tomato, the burger, more dip, and then the lovely fried egg. I could not wait to dig into this meal. And the kale chips? They’re so light and crispy, salty and savory and complimented the avocado dipping sauce perfectly. Thanks for reading, enjoy! 1. Halve the avocado, and remove pit and peel. 2. 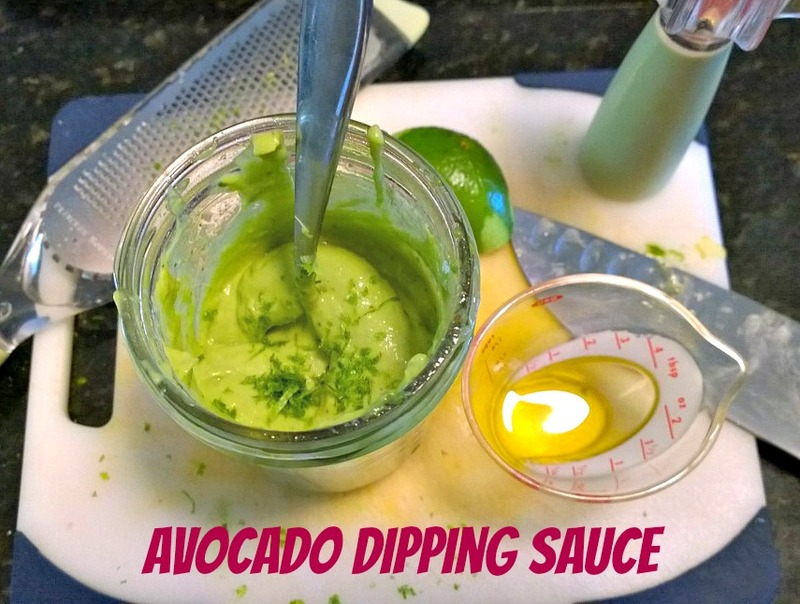 Place the avocado halves and the rest of the ingredients in a food processor and pulse until smooth and creamy. Serve as a spread, dip or dressing. 2. Lay each kale leaf on cutting board and cut out hard stem with a sharp knife. 3. Place leaves in a large bowl and wash well. Drain kale well, or spin in a salad spinner. Place leaves in a large bowl and coat with oil, salt and pepper and toss to coat. 4. Divide leaves onto two cookie sheets if necessary- you don’t want the leaves to steam. Roast for 15 minutes, being careful not to burn.